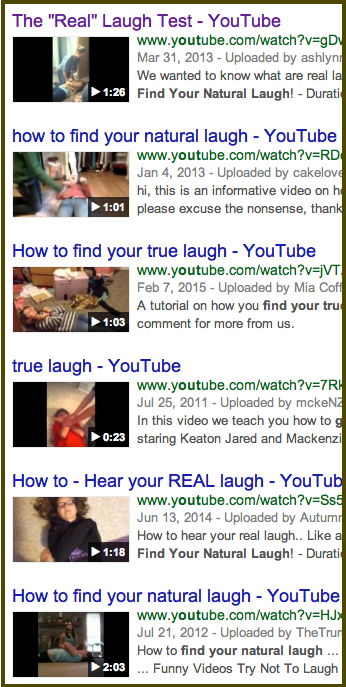 There’s another game in town called “Find your true laugh,” but it is no laughing matter. One kid lies down and another kid either sits on the recumbent kid’s chest or pushes hard on the recumbent kid’s chest with his hands (think CPR chest compressions). As the recumbent kid starts to laugh, his laugh purportedly changes. In this case, in addition to compromising a kid’s airway, the force of another person pushing hard on the chest can lead to rib fractures and, as one of our patients discovered painfully, even a fractured sternum. Rib fractures are acceptable as a side effect of CPR but are not an acceptable side effect of a game. Tweens in particular seem vulnerable to trying the “Hey, this looks fun, let’s try it, ” airway blocking games. Explain to your tween that anything that can possibly interfere with breathing can hurt him. Your nose is for breathing air. NOT for breathing fumes from glue or markers in order to get high. Called “huffing,” this can lead to sudden fatal heart arrhythmias. Your mouth is also for breathing. Tweens can all recite the dangers of smoking cigarettes, but they can find it amusing to breathe in crushed candy, which can irritate lungs, or to try to swallow a spoonful of cinnamon while taking the “cinnamon challenge.”The coughing and vomiting that result from this challenge are evidence of its potential danger. Air moves through your neck to reach your lungs. Tweens play the “choking game” by strangling themselves in order to get a brief high before passing out. Tell your kids to never tie or loop anything around their necks, for obvious reasons. Kids have died playing this game. Your lungs are in your chest. To get back to the find your true laugh game: this game involves smushing the chest. Point out that lungs can’t expand to hold air if someone is crushing your chest. “Yes, like the bologna game, ” said Lai with a sigh.